Louis Dell’Olio and Donna Karan, 1980. Image courtesy of the Huffington Post. Founded in 1968, the Anne Klein label is most-known for its sportswear—in the early 1970s the company came out with a mix-and-match line that quickly changed how designers (and consumers) looked at sportswear. Not exactly known for taking risks in the world of fashion, the Anne Klein line has remained steady and safely chic since its beginnings nearly fifty years ago. For Anne Klein, the company’s namesake, the highs that come with the success of the brand was short-lived—she passed away from breast cancer just 6 years after establishing her line. 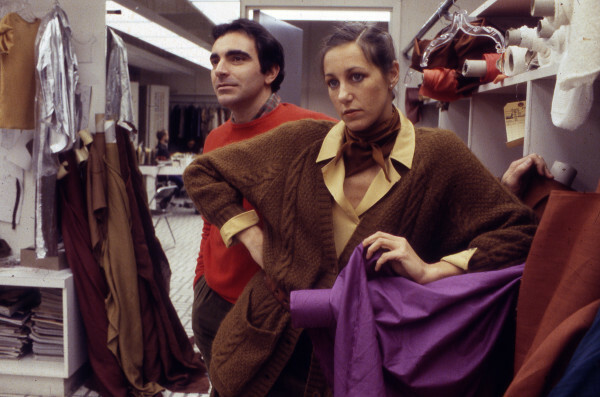 At that time, a young and talented designer named Donna Karan had been working as Klein’s design assistant; upon Klein’s death, Karan was made chief designer and she quickly brought on Louis Dell’Olio to be her partner. Karan and Dell’Olio had met and become friends when they both attended New York’s Parsons School of Design. At the point Karan brought Dell’Olio on board, both were in their mid-20s. The duo ran the company until 1986 when Karan left to launch her own line and Dell’Olio took over directorship of the Anne Klein line. 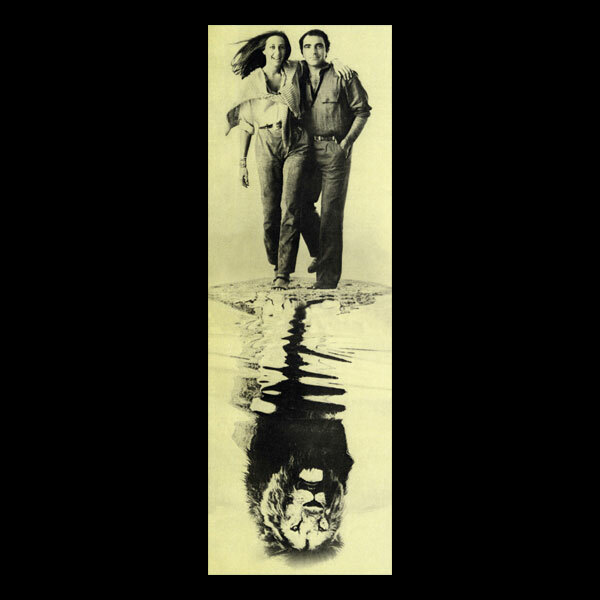 1970s image of Louis Dell’Olio and Donna Karan with the Anne Klein signature lion. Dell’Olio left Anne Klein in 1993 after developing the brand into a $600 million business that working women around the world had come to appreciate. “My pleasure is to stand back and let the work speak for itself,” Dell’Olio told the Los Angeles Times the year he left the company. 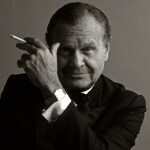 Throughout his time at Anne Klein, Dell’Olio had designed or overseen design of a vast array of products, including shoes, jewelry, leather goods, and hosiery. We have been fortunate here at Rice and Beans Vintage to have acquired a large collection of Dell’Olio-designed couture jewelry from his final years at Anne Klein. On the whole, Dell’Olio’s designs were largely gold, more chunky and geometric than delicate, and even now prove to add that perfect pop of shine and texture to any outfit. 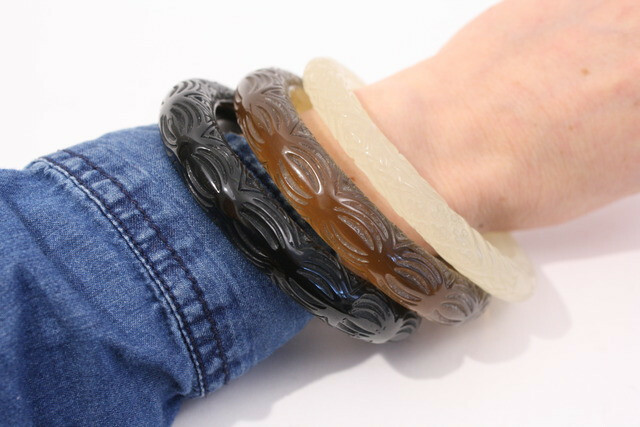 Any time you can use a piece of jewelry to both dress up an outfit or to add an air of casualness to it, you know you’ve got a winner. 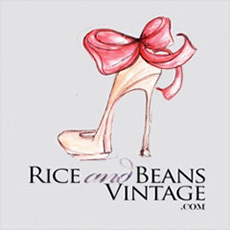 Be sure to check back to RiceandBeansVintage.com frequently as we continue to add pieces from this stunning collection!